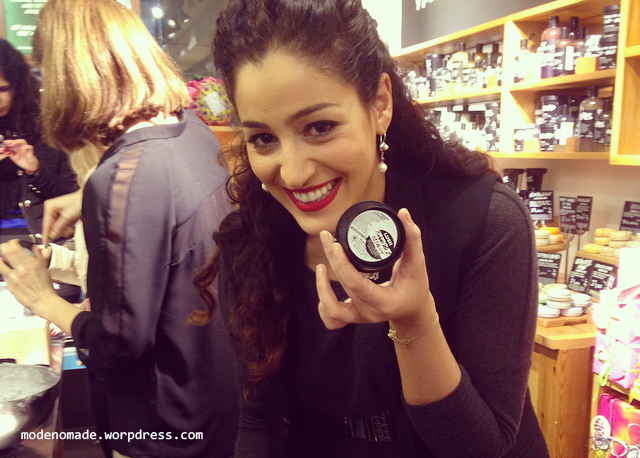 Last month I had the pleasure to attend not one but two of the Lush Lebanon collaboration with the bloggers. The event was a great opportunity to know more about the brand as well as the bloggers, while making our fresh face mask! 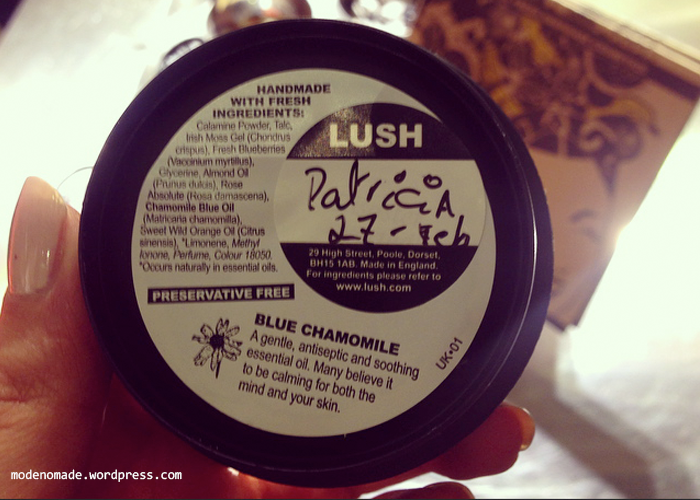 The first time I was invited by Patricia from “Fashionicia”, who had the initiative to gather a couple of bloggers to get to know them better & have their reviews over the mask (Brilliant idea!). We had a great time talking about blogging & sharing beauty tips, as Patricia is a girl who’s not afraid to let you know exactly what she thinks, and you can see that from her blog to her style! The second time Linda from “Mademoiselle L” invited me. Linda is my work colleague & personal beauty advisor J You can ask this girl about anything from natural hair care to the perfect shade of red lipstick & she’ll give you the perfect answer! I helped her cooking the mask & had a fun girls time outside the office with our third musketeer Rasha, who helped us too & took all the pictures! 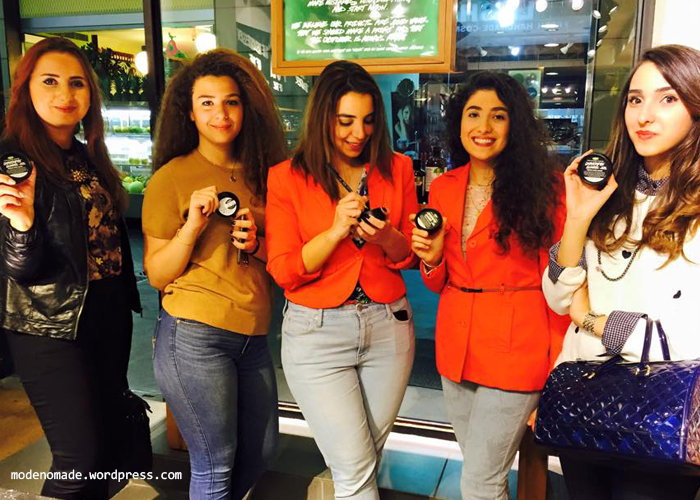 This post reflects the good vibes provided by the bloggers & Lush amazing team because those moments reflect the brand’s spirit perfectly. But stay tuned for the next post, to know more about the brand & the Catastrophe mask! Really enjoyed going through your post! Very interesting and stylish too! Keep it up! Come and check out my blog if you get the chance, I recently posted my take on PFW, let me know what your think? p.s. this looks super fun!! To many more good times like this!! !